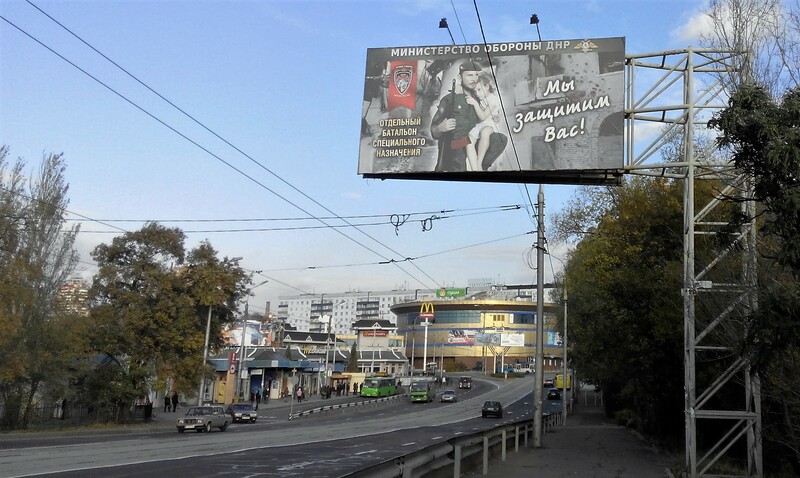 It is not difficult to understand how bad the situation at advirtising market in the occupied Donbas is if you just look at billboards. 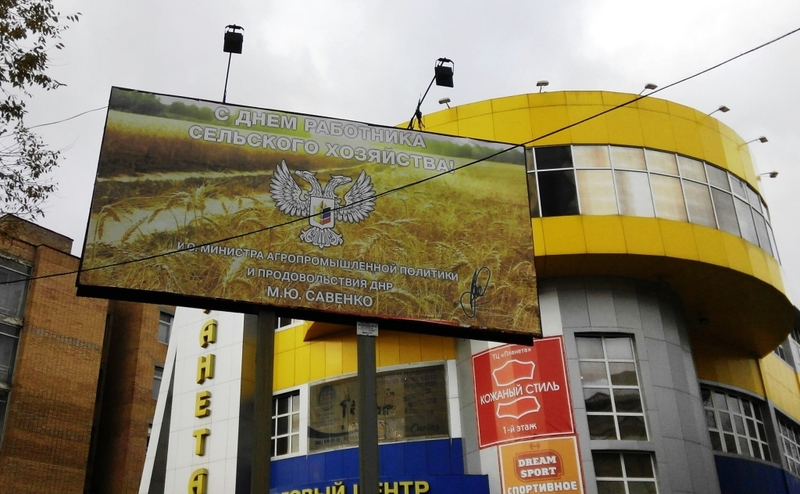 The so-called “DPR referendum” ousted small and medium enterprises form the city and advertisement, taxes and welfare benefits left it as well. 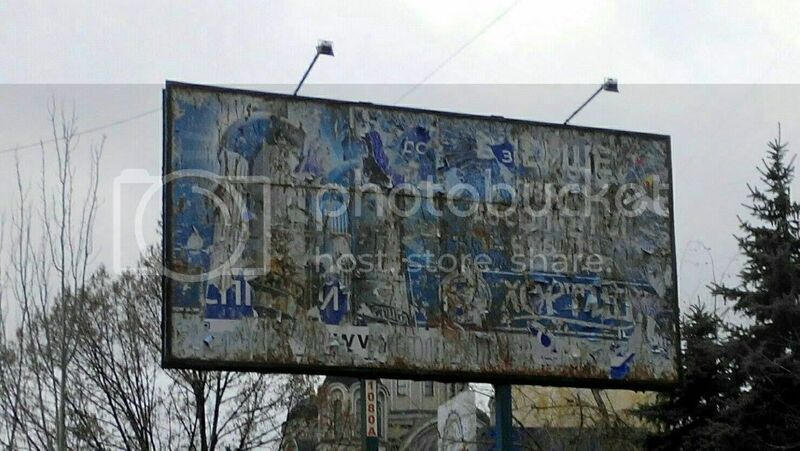 As there are just a few entrepreneurs left, more than half of billboards are stripped and it looks like they will not change under “DPR” “rule“. 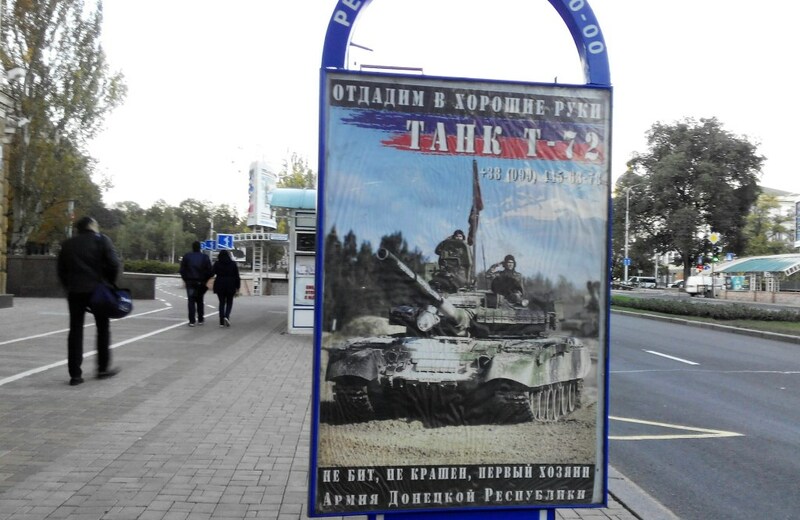 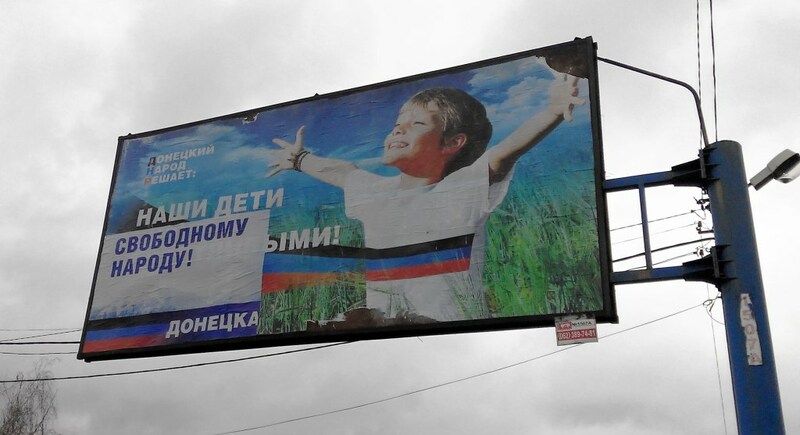 Some empty ones are used for “DPR” advertisements and accompanying slogans: “I am for the city”, “We will protect Donbas together”, “Medical service will be available for everyone”, “Our children will be happy” and other similar ones. 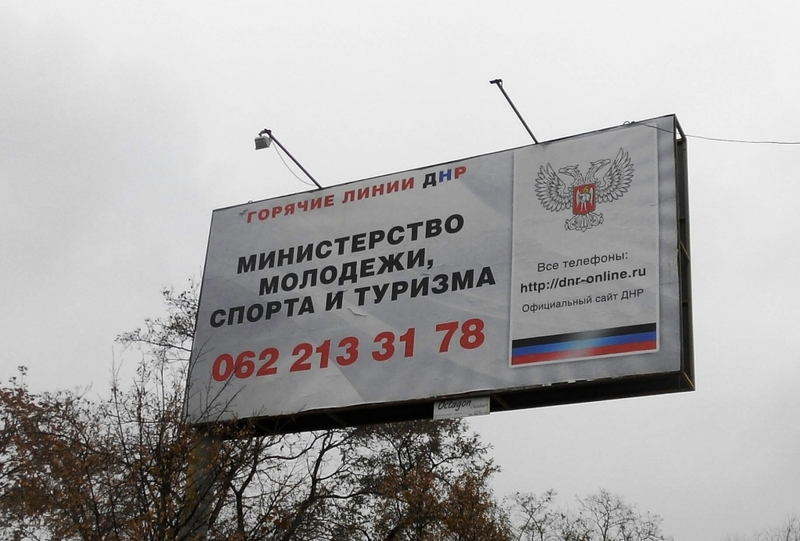 “DPR” advertisement does not tolerate any competirors and if someone tries to post their ads, they will be punished by the faction, as it has recently happened. 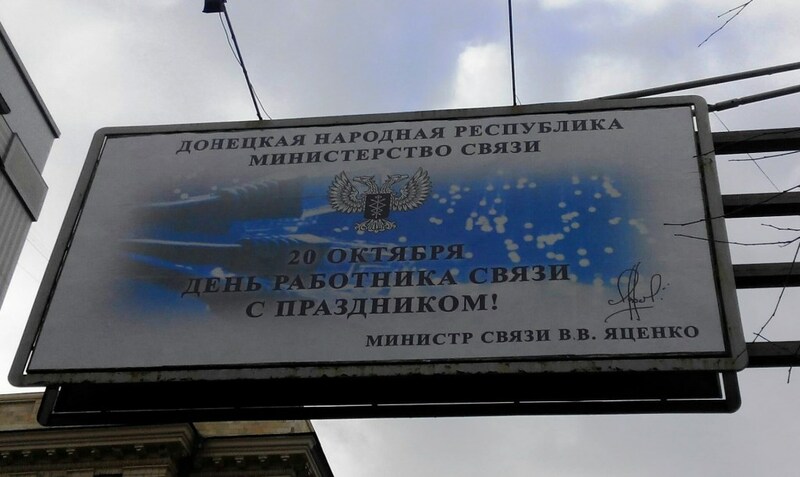 Next to the faces of the “DPR” leaders there are all possible “DPR” “ministers” and congratulations on different holidays. 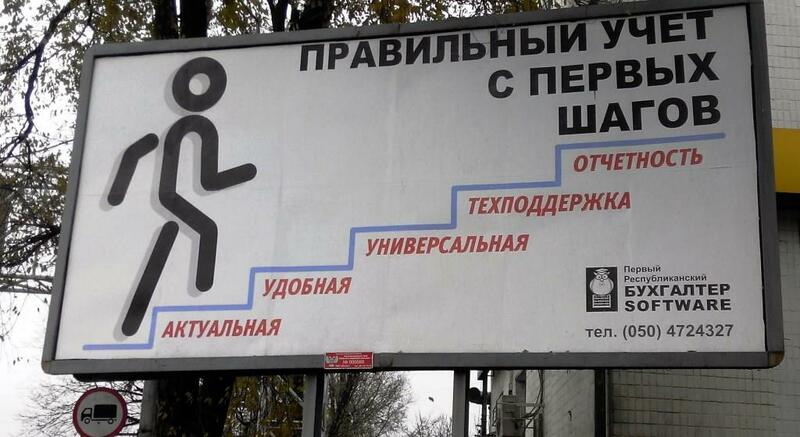 It looks like people are urged to celebrate everything not to feel hungry. 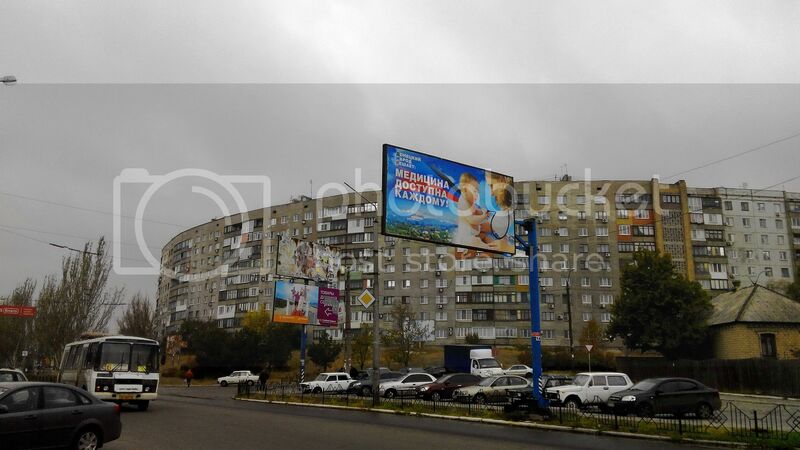 As for commercial advertisement, it is scarce. 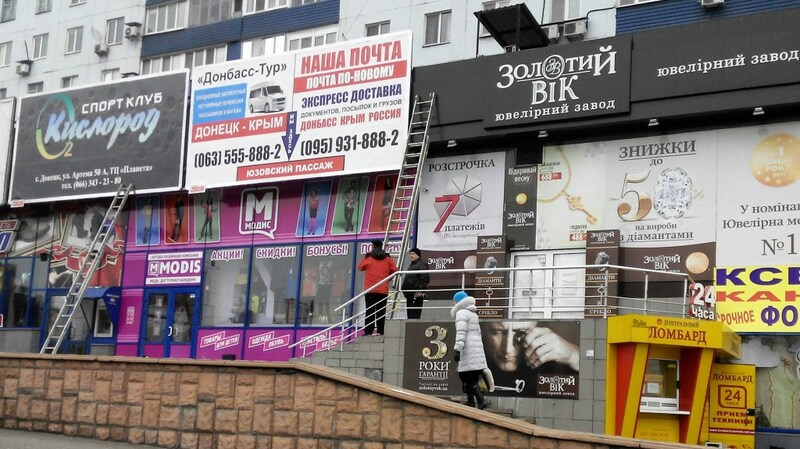 Several restaurants, a sportswear shop, “export and import to and from the Russian Federation”, “First republican accountant” - this is all. 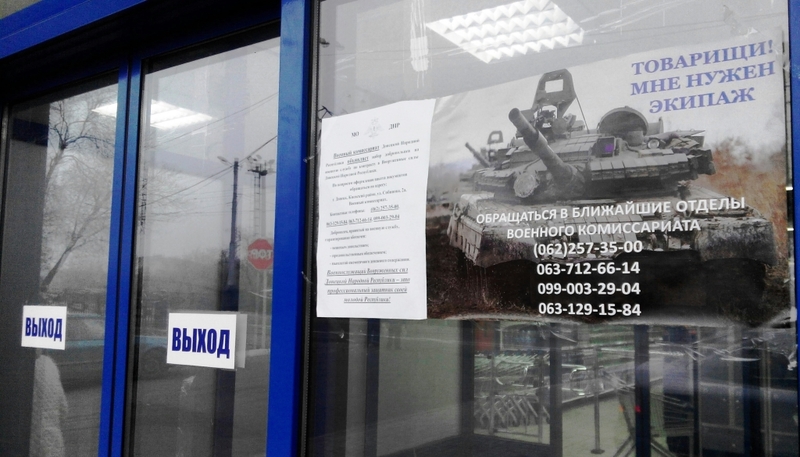 Only advertisements like “Withdrawing money from your bank card” or “Help with documets for a permit to go through checkpoints” can compete with “DPR” ones and this business belongs to the leaders of the “republic” as well. 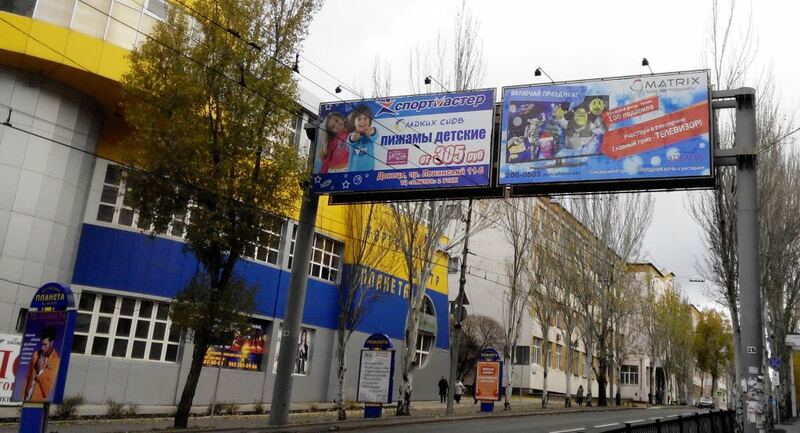 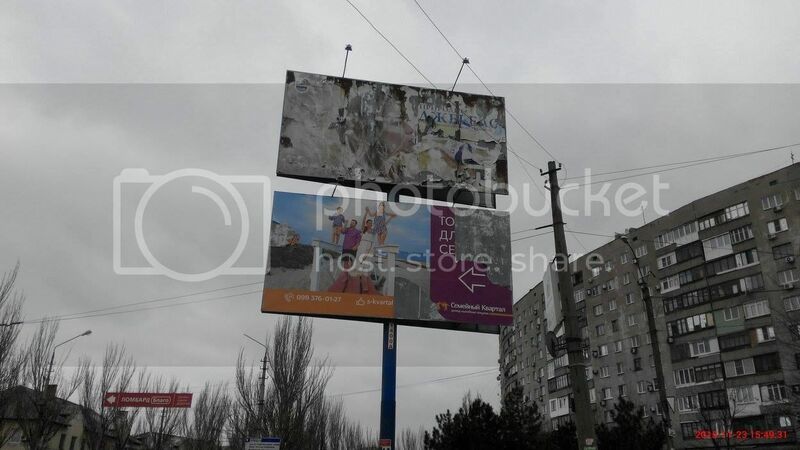 As it can be seen, nowadays Donetsk advertisement consists of rusty billboards which serve as background for the faces of “republican” leaders and the so-called “ministers”. 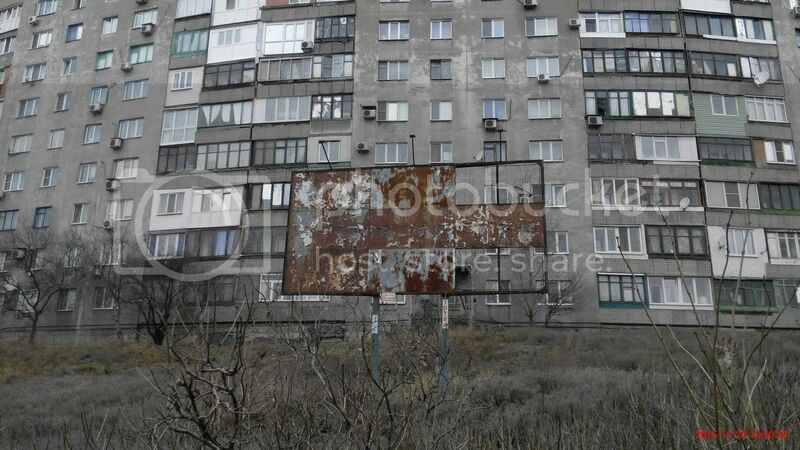 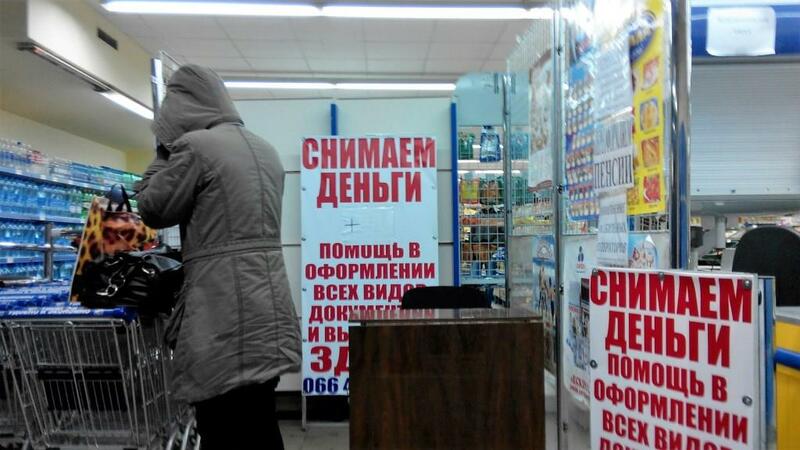 Official business does not live here any more and anything that is advertised belongs to “DPR”.